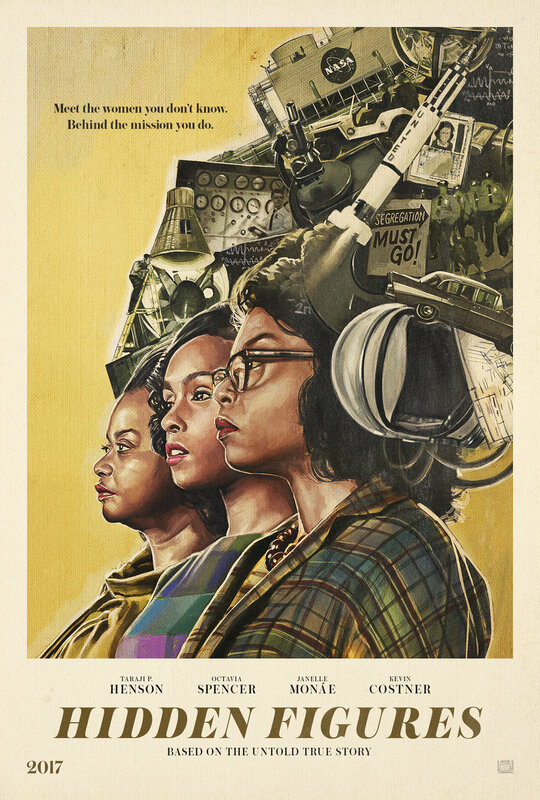 Hidden Figures is a 2016 American biographical drama film about African American female mathematicians who worked at NASA during the Space Race. The importance of this film being made was translated through our work, we dedicated quite a bit of time to make sure it was done right by the source. 2000 steps. 120 miles. 5 honorary degrees. 4 great-grandchildren. These are some of the numbers that have defined Katherine Johnson's legacy. And today is her 98th birthday. HIDDEN FIGURES is the incredible untold story of Katherine G. Johnson. Lot's of what we did on Hidden Figures was pushing ourselves to find real life hidden figures to help create the marketing components we were set to put out. When we came up with the idea of creating a Lego version of our one sheet I reached out to Mariann Asanuma, a self taught LEGO artist who achieved her dream of working in the LEGOLAND Model Shop and was the first female Lego artist in the United States. We wanted to celebrate Katherine Johnson and also inspire the youth of today to reach high. We did so with the organization Black Girls Code. We worked with the talented young coders to build out FutureKatherineJohnsons.com. The site featured the pages designed by the coders themselves and each page included personal stories on what they are aspiring to be.